To complement our fleet of vessels, we also have a comprehensive range of mooring and deck equipment available to charter. This can be supplied on a stand-alone basis or as part of the mobilisation of one of our barges. All of our equipment follows a strict maintenance procedure to ensure the best reliability, and is certified where applicable. 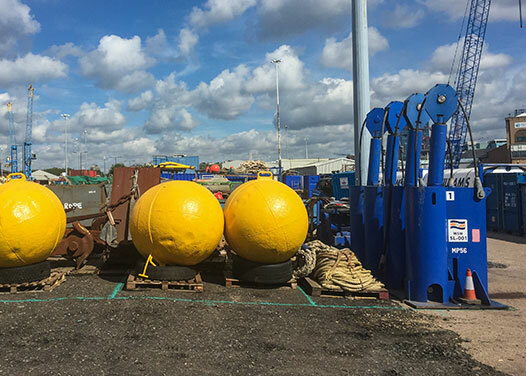 Our mooring and deck equipment can be mobilised worldwide and will be delivered using our own in-house road transport division where appropriate. 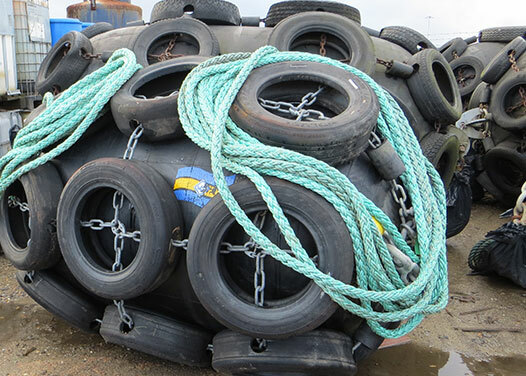 Whether for use on our own pontoons and barges, or for use on your own apparatus, the mooring equipment we can provide will ensure your platform is held as static as possible. We offer spud legs (tubular steel poles, dropping through specially formed holes in the pontoon) which drop to the seabed, allowing the barge/pontoon to float up and down with the tide but with minimal lateral movement. These spuds may be lifted and lowered using a crane, or when this is not available or practical, we can supply hydraulic spud lifters. 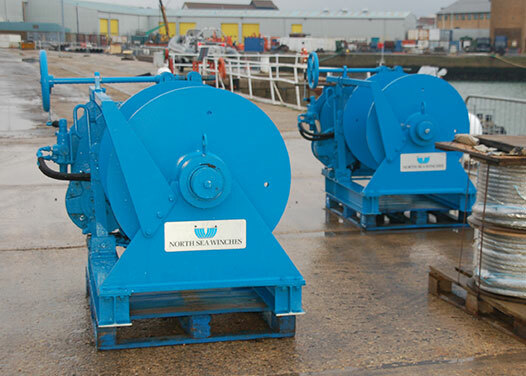 As an alternative to spuds, a mooring winch system is often the preferred option. 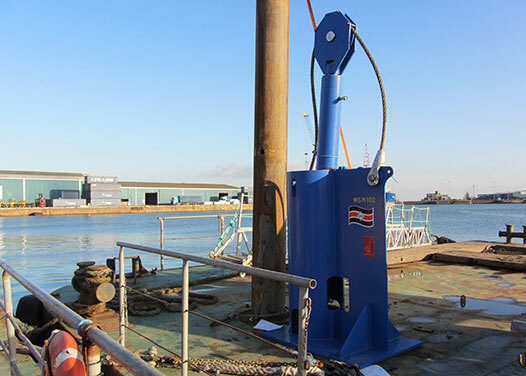 The winches are set up and secured on deck with a system of wires and blocks, allowing the winch to tension the wire from a fixed securing point, such as an anchor or fixed bollard within the working site.